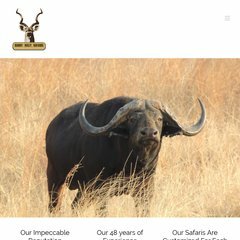 Topics: Garry Kelly Safaris, Buffalo, Elephant, Leopard, and Lion. It is hosted by New Dream Network Llc (California, Brea,) using Apache web server. Gksafaris.co.za's IP address is 173.236.252.170. ns3.dreamhost.com, ns1.dreamhost.com, and ns2.dreamhost.com are its DNS Nameservers. PING www. (173.236.252.170) 56(84) bytes of data.